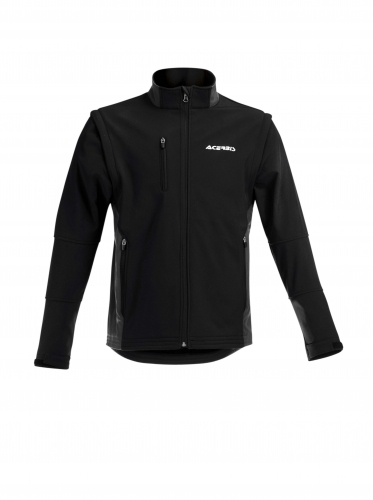 A NEW JACKET MADE OF SOFTSHELL, A NEW TYPE OF MATERIAL that, due to its special structure and use of a wind-blocking elastic membrane, provides three key features: Wind protection, water protection (up to 8000 ml.) and breathability. It is extremely soft, very elastic and waisted. It follows the lines of the body, making it particularly comfortable. Removable sleeves, adjustable wrists with Velcro closure, front pockets with zipper.